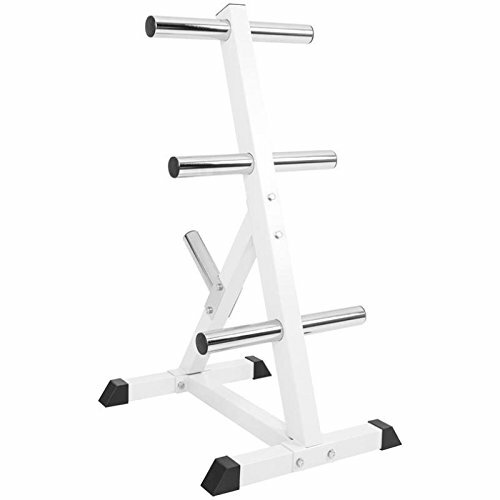 Our Storage Rack for Barbell Weights with 7 Branches is made with professional studio quality. It is suitable for Olympic barbells with 2in hole diameter and with a maximal weight from 770 lbs. With our Plate Rack you will always have your weights at hand and sorted by size and weight. So you will keep your training area at home tidy.